Apple iPad 9.7 inch is equipped with a 9.7inch black lit LED display. The Apple iPad 9.7inch sports an elegant. Weighing only one pound and just 7.5mm thin, this iPad is your perfect on the go device. It has an aluminum unibody construction that offers a reassuringly solid feel. This iPad sports an 8MP rear camera that has an image stabilization feature that minimizes the blur for producing sharp and crisp images. The 1.2MP front camera offers a superior quality video calling experience and clicks glamorous selfies. 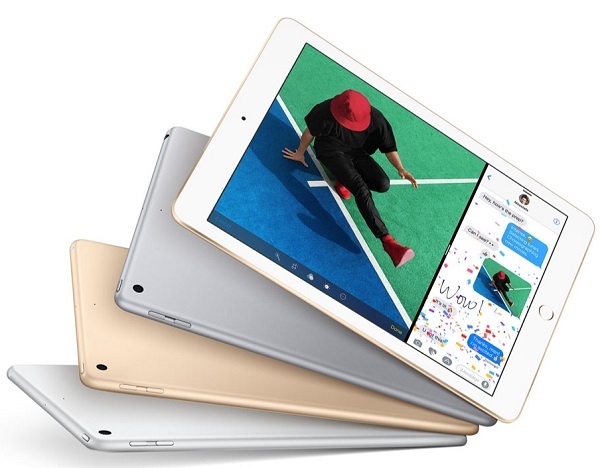 This iPad is powered by a 32.4W, Lithium Polymer battery that charges fast and offers an impressively long uptime for keeping you busy and entertained throughout the day. The 9.7inch display delivers incredible detail to bring your favorite content to life. This iPad is equipped with a 64bit A9 chip that effortlessly runs almost all the apps to their utmost potential while going easy on the battery. The iOS 10, with its innovative features and user friendly interface, makes your life simpler and better. Furthermore, the Apple iPad 9.7 is equipped with a fingerprint sensor that lets you unlock your iPad quickly and securely. 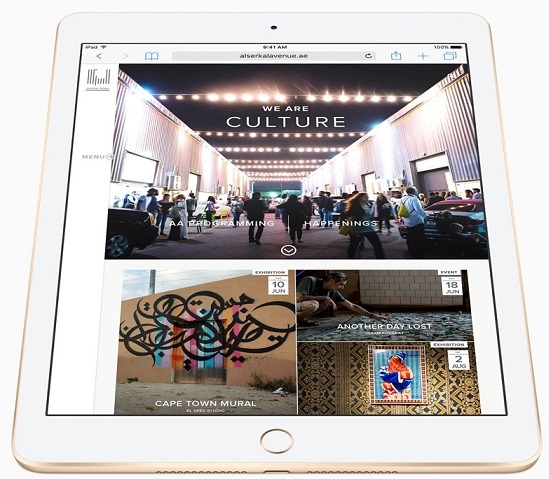 This Apple iPad is equipped with a leading edge A9 chip that is built on 64bit architecture. 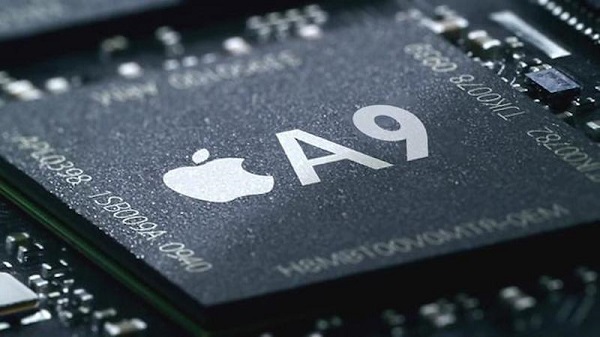 It performs up to 70 percent faster than its predecessor. The embedded M9 motion coprocessor allows for Siri to be always on so that you can make use of the iPad’s voice commands at all times. It also tracks distance, steps, and speed for tracking your performance while working out. Whether you’re enjoying photos, shopping, or building a presentation, the vivid 9.7‑inch Retina display images at a resolution of 2048 x 1536p, resulting in an impressive 264ppi density. With the fingerprint resistant oleophobic coating, you can wipe your iPod’s screen with a link free, soft cloth to remove prints left by your hands and face. iOS 10 is the most advanced, intuitive, and secure mobile operating system in the world. It’s so capable, you can work and play using two apps at once, receive a text on your iPhone and reply from your iPad, and automatically back up your files with iCloud so you can access them anywhere. 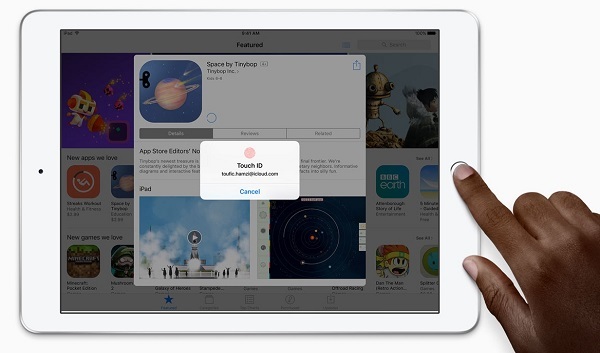 And it includes built-in apps that help you get more out of iPad.